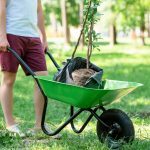 Savage hurricanes, lightning, random storms and flood emergencies here in the state of Florida can certainly have a critical impact on the health and wellbeing of your trees. Tree removal is a serious yet essential answer to some of your tree-related issues in Boca Raton. It’s undoubtedly a vital and well-used part of our local business operations. They purify our water, they oxygenate the atmosphere, trees lower intrusive noise as well and they slow the speed of climate change. Trees also enable biodiversity given that they are usually host to many diverse flora and fauna species. A single sizable tree is able to provide a day's supply of oxygen for as many as 4 people, as reported by the Arbor Day Foundation. They are certainly very good for the Earth, our natural environment and they raise our general disposition. More than 99.9% of the time they are a completely benign presence in our lives. So precisely what's the point of removing trees? Why is this, the most severe type of tree service, required? Incline - Should your tree start to slant towards a single direction where it was not veering previously, that might just reveal a badly compromised tree. Damage may even be more severe in case it’s seen with bare and/or drooping limbs with no leaves. 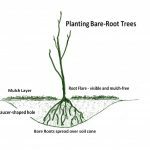 Tree Roots - The condition of the root system is every bit as critical with regard to the well-being of the tree. If the rots are exposed and they display breakage or rot, then your tree is most certainly vulnerable. Fungus infection coming from either the tree roots or even close to the bottom of the tree trunk identifies dead wood. In case there is a good deal of fungal growing, there will likely be no saving the tree and it will drop faster as opposed to in the far future. An uplift of soil next to the roots reveals a partly unstable tree. One single powerful wind event might find the tree falling down, with a little luck not on your home or anybody else’s. Trunk - small wood debris close to the base of the trunk suggests that tree-boring insects are at play inside laying eggs. In this situation, the destruction of your tree will go on hidden from sight. The tree will end up being weaker from disease as well as loss of structural cohesion. Subsequently it definitely will fall down. Other hints of disease may be observed whenever the trunk has bark missing or perhaps very loose bark. We examine cavities and cracks in the trunk too, particularly if recent. Having received your request, our team will certainly be glad to present you with a rundown related to the optimal course of action for your tree. Our company will present you with a cost estimation, at no extra charge. A quick visit to your home or land may normally be best so as to fully appreciate the scale of any necessary works, specifically when removing trees. As soon as you accept our estimate, a mutually agreeable time will be set up so our staff will be able to start the required job. Currently there are community and state regulations related to tree removal - check below. For the most part, tree removal will require a tree removal permit which our firm will be happy to secure for you, should you would like us to do the very same. We pride ourselves by starting work in a timely manner. Our skilled tree pros are going to then carry out the removal work as safely and efficiently as possible. Our company will at that point take away your diseased or dead tree from your yard and deal with waste wood through recycling or reprocessing as needed. This is mandated by the local codes as storm winds can easily turn tree waste into fast-moving projectiles. 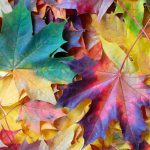 Nevertheless, you may ask to retain some of the woodchips in order to mulch your various other garden shrubs and so minimize watering charges in the medium to long term. Removing trees can stretch some family budgets. Therefore our arborists will probably check other trees at your property in order to suggest an inexpensive maintenance solution to save you cash plus time in the future. It goes without saying, "a stitch in time saves nine!" For example, reasonable tree trimming is going to render your trees safer in a wind storm by lowering their wind resistance as well as lessening the prospect of being possibly blown down. These measures are offered in order to maximize your total satisfaction by using our work. Nevertheless, our company can fast-track the process and take action more quickly in the event that there is an unexpected emergency. For example, we could obtain a quicker, verbal approval from Boca Raton Development Services Department if the tree, say, has fallen onto a road or is otherwise causing a hazard and is endangering public safety, welfare or health. Get in touch with us and our experts will outline the timing and a note of our approximate charges in order to complete critical tree project. Throughout the state of Florida, clearing away trees demands you beforehand obtain a formal permission in most cases. There are a few exceptions, however. Presently there are a number variances in the rules among counties and municipalities. Our firm know the relevant Boca Raton city codes and the Palm Beach county regulations and will take care of obtaining a permit for you wherever selected to complete your job. Our firm tries our best to hold our expenses and consequently your fees as low as we are able. 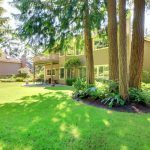 The charges differ depending on ease of access, tree species, tree height and scale, the type of the issue with your tree and whether or not extra gear such as a mobile crane is needed. Our company do not offer 'cheap tree removal' as our company do not believe that cutting corners regarding safety, training, insurance and licensing is without a doubt the most reliable way to operate our company. Rather, our company firmly believes being completely insured and our staff thoroughly coached is simply the most effective way to prevent expensive mishap to your property and to protect any latent liability against you, if there's an injury to any of our staff members. Instead you are going to find our approach to be well-considered, costed sensibly and the removal performed efficiently and in safety. Our firm will be able to give you some financial savings simply by offering you the option to gather waste just after the tree has been removed, perhaps to store as fuel. Our firm’s staff is trained to leave your backyard tidy and debris-free however this depends on you. Phone us now! We are awaiting your call and look forward to speaking with you.